The goal of this project is to design and test conceptual math and science questions that can be used by K-12 teachers. 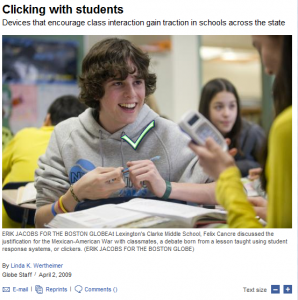 While clicker technology is not prevalent in elementary classrooms (it requires a computer, a project and a set of clickers), more and more teachers are recognizing the benefits of the technology and it is spreading out. More school districts realize that technology has the power to help teachers to promote interaction in the classroom and help every student to be actively engaged with the content. 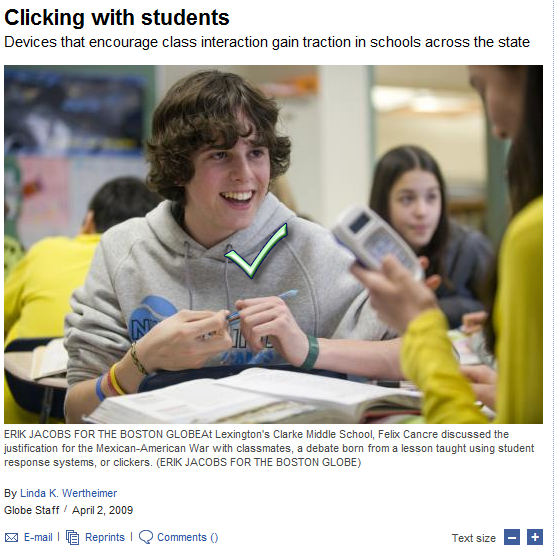 Clickers provide instantaneous feedback and timely identification of student misconceptions and difficulties about science content, which is crucial for creating a student-centered classroom. Furthermore, clickers provide teachers with continuous formative assessment to adapt their lessons accordingly by gauging student understanding while increasing student active engagement. Although, clicker-technology is easy to use and adopt, powerful science-oriented conceptual questions are not easy to design. Through this project we aim to provide teachers with conceptual questions that can be implemented in their classrooms. My research Assistant (Mrs. Kshamta Hunter – who is a graduate student at the Department of Curriculum and Pedagogy) and I have been testing these questions in the Elementary Science Methods Course for pre-service elementary teachers. We hope that more elementary teachers will find them useful and will start using them in their teaching. This is just the beginning… Here are a few examples of the PowerPoint slides we have created. We always welcome and appreciate your feedback and suggestions and would love to hear your experiences and challenges in using these and other conceptual questions and clickers with your students. Download Power Point slides DC Circuits 2011 Final. Download Power Point slides Ecosystem lesson_Final.